Even though we are in middle April, it was a very cold day. The lowest temperature in my town was 2℃. I like the very clean fruits, nice citrus and fine minerals. Also, the price is very reasonable. 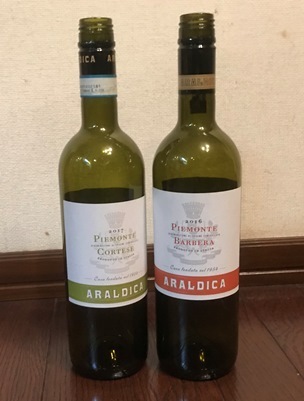 It is a very good Italian white wine. The red is made from 100％ Barbera grown in Piemonte. I felt a lot of red fruits, very good acidity and well-balanced tannins. The style is very cool and elegant. It is my favorite style, too.